I hope you guys are all having a great Saturday. We are planning on going to football game later today but are finally expecting some decent rain down here in Texas so we might just be watching it on TV. We need rain so badly so you won't hear any complaints from me. I recently received my order of October Afternoon - Woodland Park paper. I love this collection....the navy blue is so pretty. I cut 1" x 4" strips of paper and rounded the corners with my corner rounder. I added some buttons and tied a pretty bow with this Navy Blue Ribbon from Really Reasonable Ribbon. I used my Silhouette Cameo to cut the scallop ovals. I added this adorable little raccoon sticker from the Woodland Park collection pack...he's so sweet! 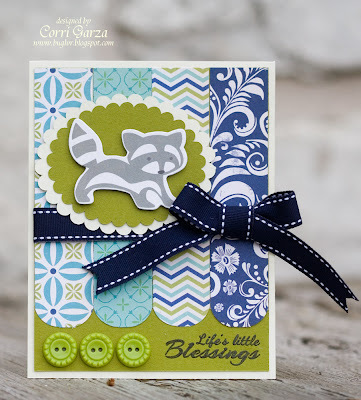 The sentiment is from Scrappy Moms Stamps. I think it turned out so pretty....perfect for a baby boy! this is so totally adorable...love that little raccoon. 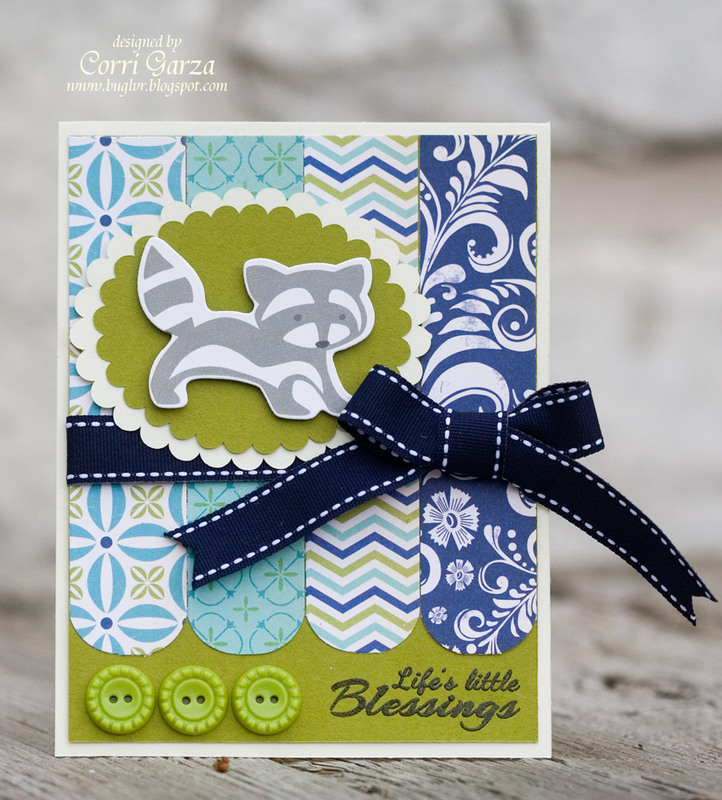 Corri, this card is both adorable and gorgeous! I love it!